Real Madrid midfielder Mateo Kovacic has been ruled out with injury until November, the club have confirmed. The Croatian midfielder was forced off in the 25th minute against Cypriot side APOEL on Wednesday evening and tests have now confirmed that he will miss six weeks of action through a partial abductor tear. Kovacic has been in good form for Madrid, despite many media men and fans thinking he could of been moved on in the summer. The former Inter Milan man is likely to miss 10 games for Madrid, plus his country’s games against Finland and Ukraine. 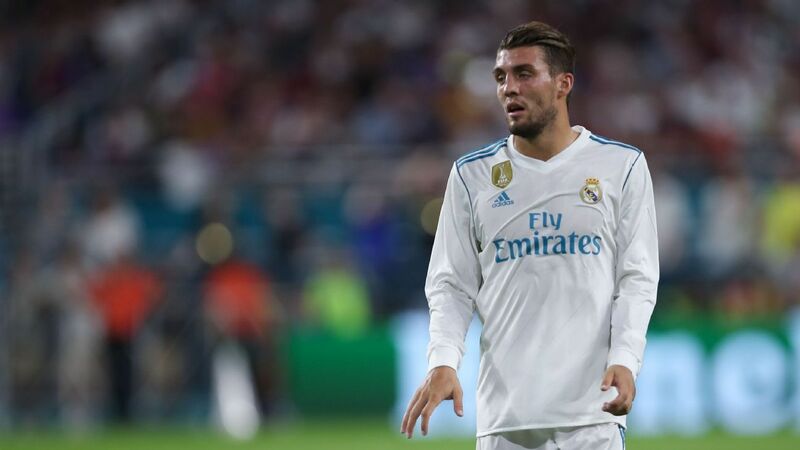 “Following the tests carried out on Mateo Kovacic, the player has been diagnosed with a partial tear of the adductor muscle tendon in his right leg,” read a Madrid statement. Kovacic has made 77 appearances since joining the club in 2015. Madrid face Real Sociedad this weekend with Zinedine Zidane hoping they can bounce back from two successive draws against Valencia and Levante. Madrid have now failed to win their first two matches at home for the first time since 1995 and sit four points behind both Sociedad and bitter rivals Barcelona at the top of the La Liga table. Both Marcelo and Cristiano Ronaldo will be out with suspension, whilst Marco Asensio is a doubt after a shaving mishap.